Though Valentine's Day isn't one of my favorite holidays, I still felt I need to be festive. 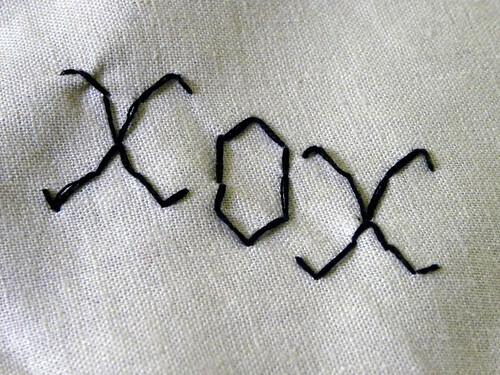 I don't have many decorations, besides a centerpiece and some wreaths, so I came up with the idea for throw pillow cases. 1. I found a heart pattern on Google images and adjusted it to the size I wanted. 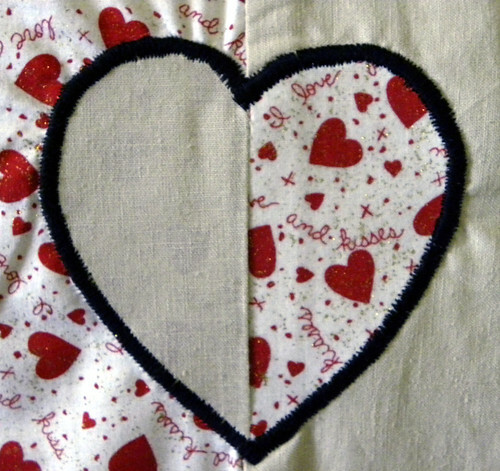 I cut one heart from the two different fabrics, cut them in half, then stitched 1/4" seam to the differing fabrics. I measured my pillow and cut enough fabric for the front and back, leaving 1" allowance on each side. 2. 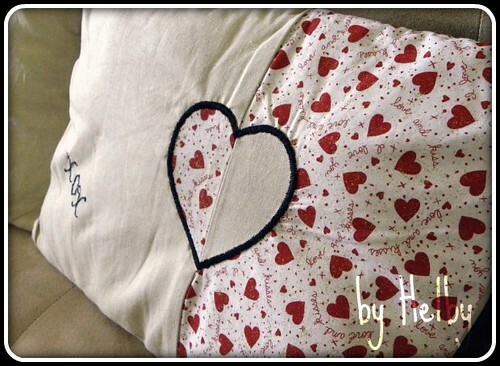 I then stitched the two pieces of fabric together for the front of the pillow, then satin-stitched the heart to the front, lining up the seams. What a cute pillow. 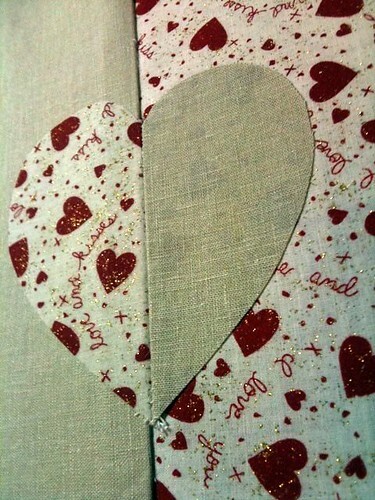 I love the heart fabric you used.